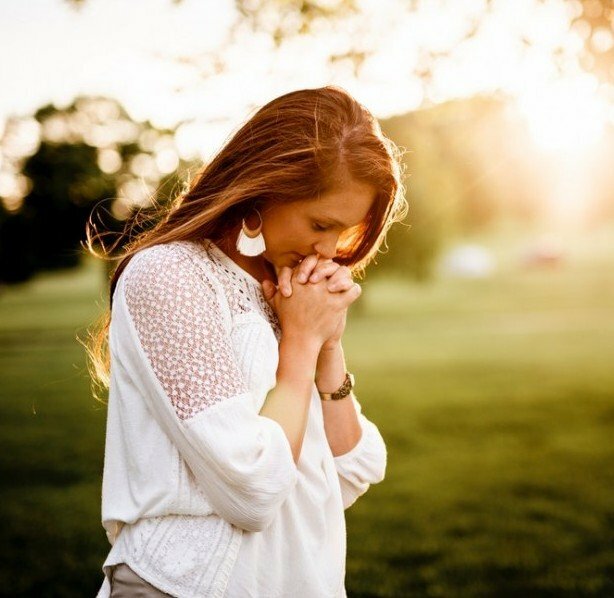 You may have often pondered the question: how can I strengthen my faith in God? You may have read, or you may know, that it is important to have a strong faith in God to survive in this life. Life is challenging in so many ways, and a strong faith certainly helps you to negotiate the tricky twists and turns that may happen in your life. Many people grow up with a sense that there is a God, (for some, an Almighty Being), but they fail to develop a relationship with Him for many years, and some never do. That is sad because the underlying belief is there. Obviously, some people go through life never believing that God exists at all. To strengthen your faith in God, you would need to believe firstly that God exists, but not merely in a religious way. What I mean by this is that you need to have experienced God in a real sense and know in the core of your being that He exists. 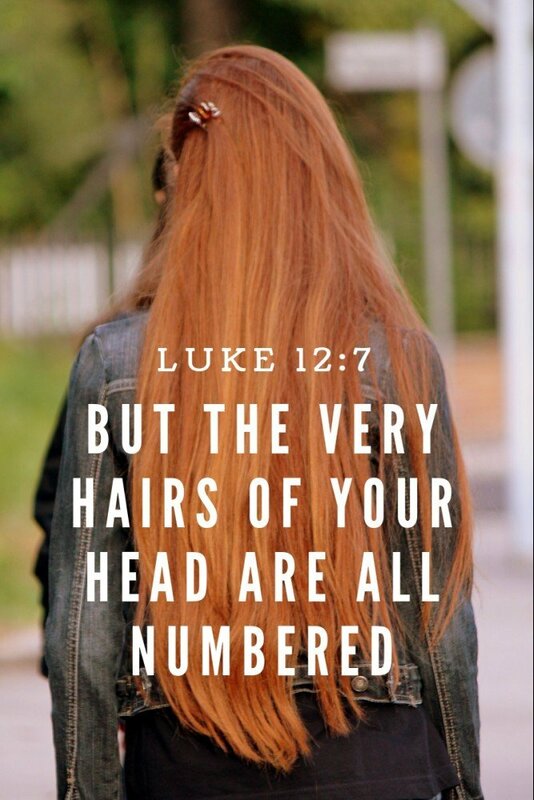 Hebrews 11:6 explains this very clearly: “But without faith it is impossible to please him: for he that cometh to God must believe that he is, and that he is a rewarder of them that diligently seek him”. If you truly believe that God exists, you already have a measure of faith as “without faith it is impossible to please Him”. We live in such a world of “seeing is believing”, of the tangible, that we need to have faith to believe that God exists. Our very creation in all its splendor shows us that He exists! 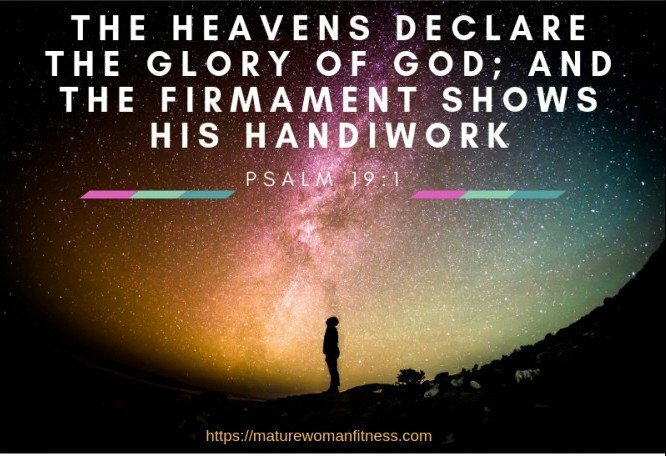 “The heavens declare the glory of God; and the firmament shows his handiwork. Day unto day utters speech, and night unto night reveals knowledge. There is no speech nor language where their voice is not heard” (Psalm 19:1-3). There are very many references in the Bible about the existence of God. Of course, if you doubt God’s existence, you probably would not be reading this post (unless out of curiosity?). Perhaps you have a very logical, intellectual brain which makes you doubt that God exists? It is so important to your human existence to find out and explore for yourself about the existence of God! You need to know God and not just know of Him! For instance, we know that Mother Teresa existed, but we did not know her. We did not have a relationship with her. Spend time daily reading the Word of God – the Bible. If you don’t know where to start, try reading through the Gospel of John. It speaks about the life of Jesus and how He, as the living Word of God became flesh and dwelt among us. Also read the Psalms for such beautiful, picturesque imagery. Use a Bible Concordance to look up any subject you’d like to explore. How do you pray to God? If you’ve never done this, it may seem strange to you. Perhaps you remember from your childhood, or even from a TV show, the words of the Lord’s Prayer, or the “Our Father” prayer as it is sometimes known? (Matthew 6:9-13; Luke 11: 2-4). That is a start, and covers the fundamentals of what to pray. You don’t need to pray the same prayer every day. Prayer is highly personal. 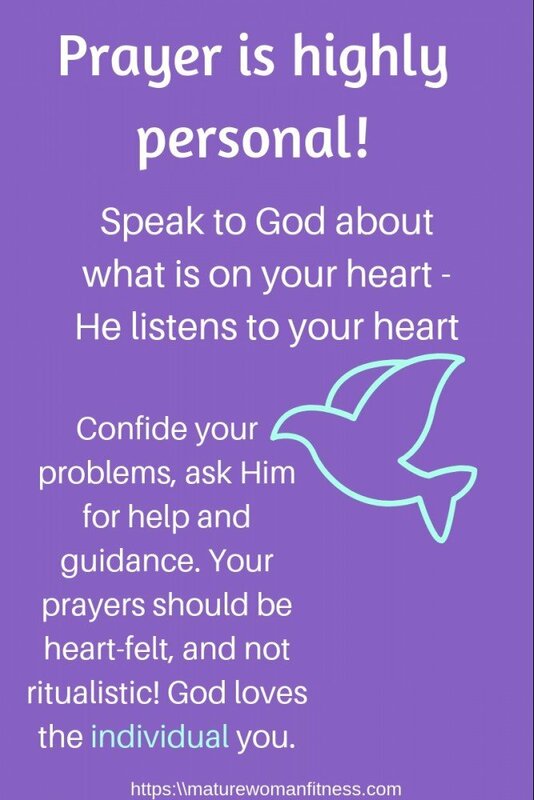 Speak to God about what is on your heart – He listens to your heart. Confide your problems, ask Him for help and guidance. Your prayers should be heartfelt, and not ritualistic! God loves the individual you. Many people are resistant to attending church because they may have been hurt by church or “church people”. They say, “I believe, I pray, why go to church?” Quite right of course, you can be a believer and not go to church. Remember that you attend church to hear the Word of God, not because of the pastor or of other people. Look to God when you attend church, not to others. Build relationships with other believers. Hebrew 10:25 tells us that we should not forsake the fellowship of other believers, so it is found in the Bible that we should do this. The importance of spending time with other believers cannot be underestimated. 1) It cuts down loneliness and isolation and helps you to feel part of a group with common interests. 2) As a group, you can work together to achieve great things and make a difference in the community. 3) You can experience “love with skin on”. Get a heartfelt hug at the end of a service if you need to be loved on – something your TV cannot do for you after a TV service! 4) Gain support or give support in times of need. The more you do the steps above, the more God’s love will be revealed to you. You will see that He loves you so much that He sent His only son, Jesus Christ to die for you and provide salvation and a way back to have a relationship with Him. (John 3:16). If you’ve never heard of this before, it is very confusing! You may have heard it before, but it does not make sense to you, or it sounds like a fairy tale! Why would God even do such a thing? His great love for you of course! God created the first man and woman, Adam and Eve in the Garden of Eden in order to have a relationship with them. (Read Genesis 2:4 – 3:24 for their story). Everything was perfect until they committed the one sin God asked them not to do and the rift between mankind and God was established. Adam and Eve were banished from Eden, and thereafter the people who wished to have a relationship with God followed a ritualistic faith where livestock was sacrificed as an offering to God for people to obtain their salvation (repent of their sins) and restore a relationship with Him. (Old Testament days). In the New Testament, Jesus Christ was sent by God to be the sacrifice for all those people who believe in Him. This is why we no longer do an animal blood sacrifice. The blood of Christ was shed instead, and all mankind gets to choose whether they will accept His sacrifice or not. It is a free will choice that everyone needs to make during their lifetime on earth. Of course, my explanation is very simplistic and there is so much more to the beautiful story of God’s great love for His beloved mankind, including you and I.
I could write for days on this subject, but my intention is just to give an overview here. 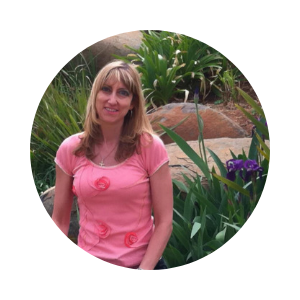 You are more than welcome to email me on natalie@maturewomanfitness.com if you have more questions. (I just ask that you are respectful and not aggressive as I do not wish to get into arguments about different opinions on religion or my own personal beliefs. That is not the point here). Jeremiah 29:11, another favorite of mine, such beautiful words to inspire hope and comfort! Being so overcome by the absolute beauty of God’s Word, here is another to warm your soul! 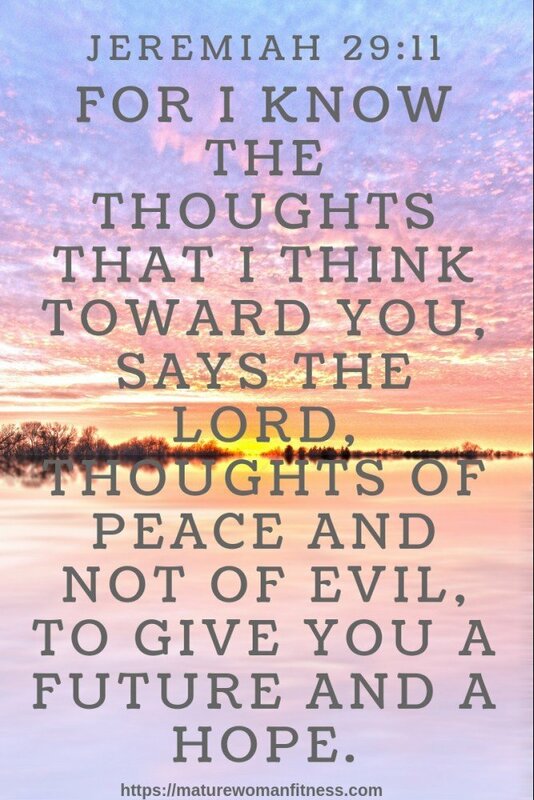 Psalm 139:17 -18. 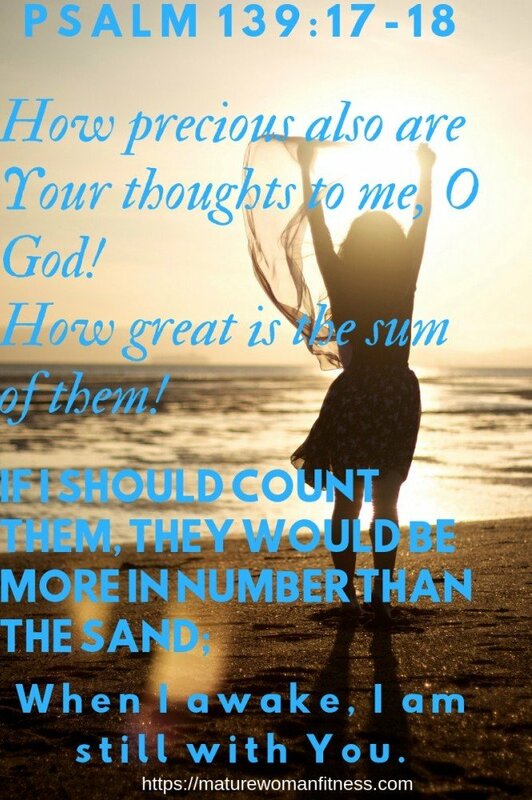 More than the grains of sand (just imagine how much that is) are the thoughts of God towards you and I! 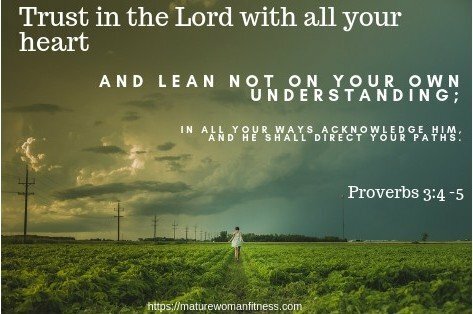 Proverbs 3:4 & 5, my lifetime favorite! God will direct our paths if we allow Him to. From my perspective, He will do a far better job than I will! Even if you have felt forsaken and rejected by others, God will never do that to you! Psalm 27:10 says that even if your mother and father forsake you, God will receive you. You CAN strengthen your faith in God if you choose to do so. Seek Him earnestly and you WILL find Him because He wants you to find Him, and He is also seeking you! “But if from there you seek the Lord your God, you will find him if you seek him with all your heart and with all your soul” (Deuteronomy 4:29). What has strengthened your faith in God? Have you seen Him work in your life? Do you believe that He loves you?